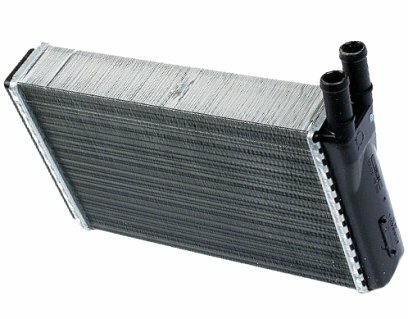 Cooling System Diagnostic, Repair and Replacement Service; Water Pump, Thermostat, Radiator, Radiator Pressure Cap, Coolant Reservoir, Radiator Fan, Transmission Cooler, Coolant flush, Radiator Clamps, Radiator Hoses Replacement and Repair in MA, IR, Attleboro, Mansfield, North Attleboro, Plainville, Cumberland, Pawtucket. A car engine produces a lot of heat as it runs and must be cooled to avoid engine damage, the vehicle cooling system is what keeps a car from overheating. Most cars use a liquid cooling system, circulating liquid mixed with an antifreeze solution around the engine so it can absorb and dissipate heat. Some engines are cooled by air flowing over finned cylinder casings. 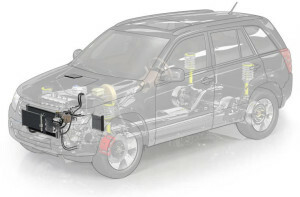 In a liquid cooling system, a water pump pumps the coolant through the engine into the radiator where it’s cooled off. 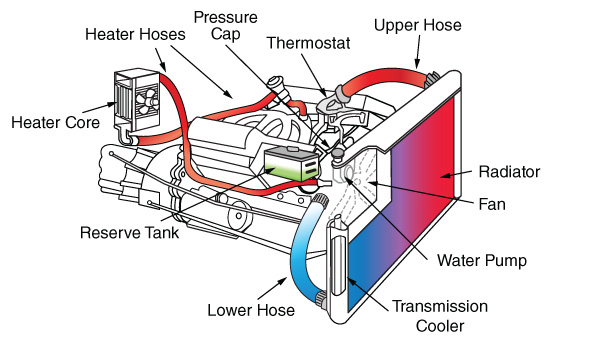 A thermostat controls the flow of coolant depending on the temperature. A fan draws air through the radiator as an added cooling device. In an air cooled engine, a fan blows air through a duct that runs around the fins of the block and cylinder head. The water pump is a centrifugal pump located in the engine compartment that is driven by the crankshaft, it uses an impeller that circulates coolant whenever the engine is running. The water pump pumps coolant from the radiators’ lower tank to coolant passages around the engine block and cylinder head, the coolant absorbs the heat produced by the engine to keep it at optimal running temperature. 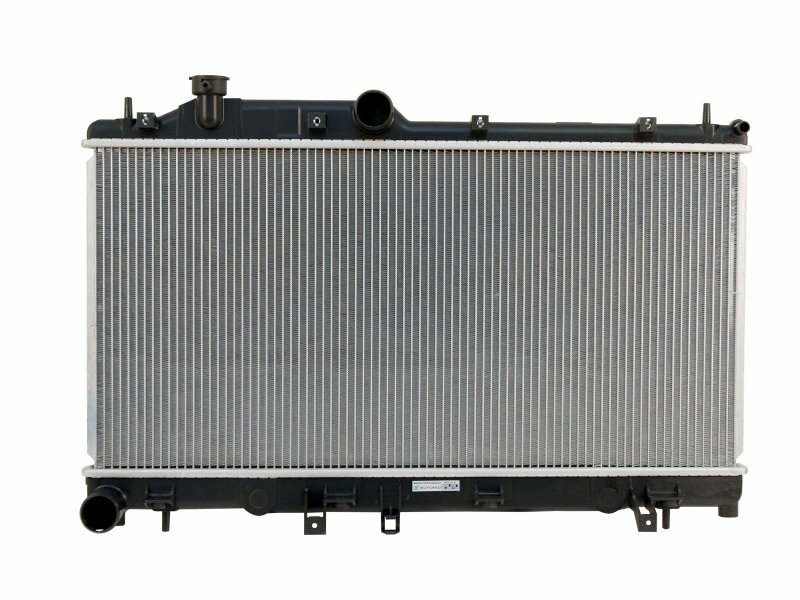 A heater core is a mini radiator part of the heating systems that is snuggled deep inside the center of your dash, it is used in heating the cabin of a vehicle. When the heat is on, hot coolant from the vehicle’s engine block is passed through a bypass hose to a winding tube in the heater core where heat is transferred from the coolant to air that flows into the passenger compartment. Fins attached to the core tubes increase surface for heat to transfer to air that is forced past them, forced by a fan. 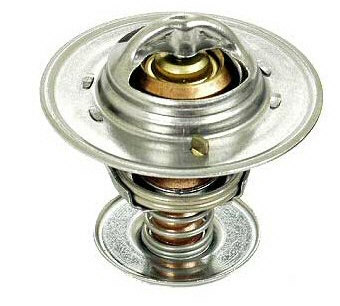 A thermostat acts as a regulating valve that maintains a minimum operating temperature in a car’s engine. the thermostat restricts the coolants flow from the engine to the radiator until the coolant temperature is raise above the engine operating temperature range 187F- 210F. It consists of a chamber filled with way and a rod which is pressed against it, when the coolant reaches 180 degrees the wax begins to melt causing a thermal expansion of the wax, which in turn pushes the rod allowing the coolant to flow outside. The main function of a car’s radiator is to cool the internal combustion engine. 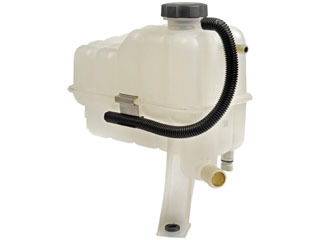 A water pump pumps coolant from the radiator’s lower tank into the engine and is returned through the thermostat to the radiator upper tank in an overheated state. 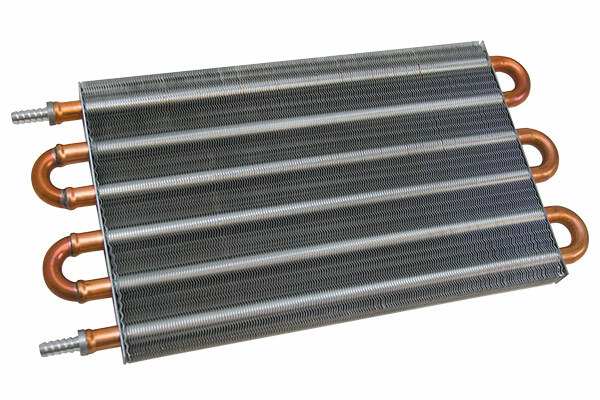 The coolant than flows downwards in the radiator flow tubes where it loses its heat to air flowing past the tubes, for a better cooling effect, the heat transfer area is further increased by providing fins on the flow tubes. 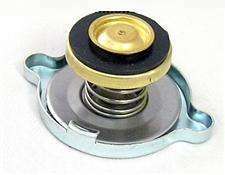 The radiator cap acts as a release valve for the radiator upper tank. When coolant fluid overheats, it expands, causing the fluid to become highly pressurized that might block the coolant from entering into the radiator upper tank. 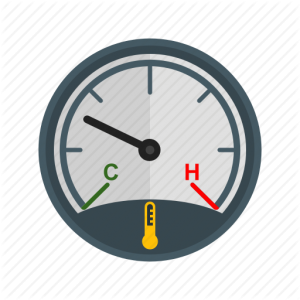 To avoid this, the radiator pressure cap (pressure regulating valve )opens when the pressure in the system increases beyond the recommended value, allowing the high pressurized coolant to flow into the coolant overflow tank. The coolant reservoir is an expansion of the radiator that absorbers heat and access hot coolant. When hot pressurized coolant is entering the radiator, excess pressurized coolant, also known as overflow, is pushed into the coolant overflow tank to stop a build up of high pressure that might block coolant from entering into the radiator upper tank. Once the radiator cools down, the coolant in the overflow tank gets sucked back into the radiator. 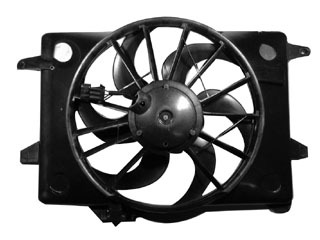 A radiator fan is a part of the cooling system designed to help keep a cooler engine. The radiator cooling fan is located at the front or rear of the radiator, it cools the coolant as it passes through the radiator. Blades spin rapidly to provide cooler air from the outside and passes it through the radiator increasing heat transfer. The radiator fan is actuated by a thermostatic switch once the coolant flows outside the thermostat. A transmission cooler is typically added to the front of the radiator to cool the transmission fluid and prevent the transmission from overheating. Fluid heated by the transmission is sent to the transmission cooler, air moving over the fins of the cooler cools the fluid, which is sent back to the transmission through the return line. Cars come with small transmission coolers. Pickups, vans and SUVs are equipped with a larger cooler because of the extra weight strain put on transmissions. 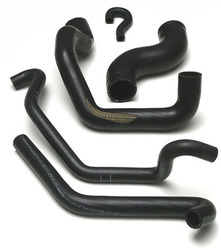 There are two main radiator hoses that run from the radiator to the engine, the lower hose and the upper hose. 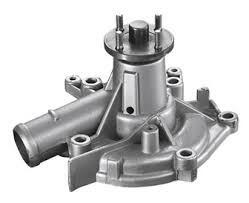 The lower radiator hose is the hose that the water pump uses to draw cool coolant from the lower tank to the engine. The upper radiator hose is the return line where hot coolant flows through the thermostat back the upper radiator tank to be cooled. In addition there is the coolant overflow lines that run to the reservoir tank and the transmission cooler lines. Whether you’re looking to repair or replace a part of a cars’ cooling system, Advanced Auto Repair offers quality cooling system repair in North Attleborough MA. Full heating and cooling system repair including Water Pump, Thermostat Housing, Radiator, Radiator Pressure Cap, Coolant Reservoir, Radiator Fan, Transmission Cooler, Coolant flush, Radiator Clamps, Radiator Hoses replacement and repair. Our professional technicians can diagnose your cars cooling system for leaks, overheating, blockage and other issue, and perform repairs, quickly and efficiently for a nice smooth ride at competitive affordable prices.